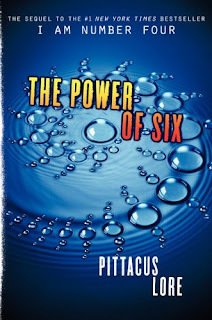 The Power of Six by Pittacus Lore is the awesome sequel to I Am Number Four. “Holy crap!” Sam says, his eyes wide-open. Holy crap is right, Sam Goode. I had some worries in the long months awaiting the sequel to I Am Number Four. My top worry was The Power of Six would not focus on Number Four. *whew* Thankfully, it did! I was concerned. My second concern was a side effect of the first concern - less Bernie Kosar. I'm happy to say I worried for nothing! The Power of Six does focus on Number Seven, too (like the book description says), but we also get to learn about Six and why she's such a badass. This book was awesome. I cannot say enough good things about this series as a whole. It has the perfect mix of kickass powers, heart stopping suspense, loyal friendship, and far-fetched fun. If you haven't read I Am Number Four , you definitely need to read it before picking up The Power of Six. The wait for book three is going to be even harder than the wait for The Power of Six! My google powers have revealed to me there will be six books in all. I look forward to each and every one of them! Have you read I Am Number Four? 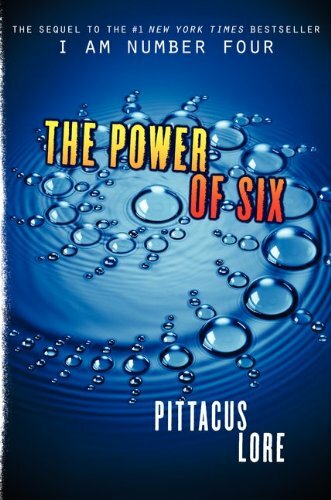 Are you planning to read The Power of Six? Now I REALLY can't wait!! Hey, have you read I AM NUMBER FOUR: THE LOST FILES, SIX'S LEGACY? I haven't read the book, mainly because the backstory of how it was written in the first place rather annoyed me. Tried to sit through the movie over the weekend after getting roped into it, but I could only make it through 25 minutes. Just godawful. If you're enjoying it though, I won't begrudge your being entertained. No, Peter, I didn't even know about it until I was buying The Power of Six. Have you read it? Gef, the I Am Number Four movie was crap. It wasn't just a terrible adaptation - it was a terrible movie. I'm sorry you can never get back those 25 minutes. I found out James Frey wrote I Am Number Four just after I finished reading it. I had no idea about his little "fiction factory", though, until your comment made me curious as to whether I had missed something. Very bizarre. Who this sounds exciting. I loved meeting Six in the previous book so I'm sure I would love this one. I saw I am Number Four and enjoyed it - I hadn't read the book at all though. Hi bookdout. I'm glad to hear you enjoyed the I Am Number Four movie. That gives me hope that someone will be able to make The Power of Six. I just hope they don't rush this one. Thanks for stopping by! I preordered this book but unfortunately, it hasnt arrived at home yet thanks to barnes and noble and their wonderful ship it all together guidelines. Therefore I am happy to see that this was a good read! i actually haven't read any of these yet. thanks for 'the highwayman' link! i hadn't seen/heard it before. Oh no, Sherre! At least it will be worth the wait! You're welcome, Carrie. :) I hope you enjoyed it!